At the foot of the peaks of the Dachstein and Bischofsmütze, in the Land of Salzburg, Austria, Filzmoos is a place for skiing, but also for practicing all the other winter sports. This is a country where cars are banned. Inhabited since Roman times, the village of Filzmoos - located a thousand feet above sea level - offers any kind of activity. Skiing is a major attraction, as the site is enclosed in the Ski Amadè, Austria's largest ski area (860 km of slopes, 270 lifts and 25 resorts in five regions, all available with a single pass) , which owes its name to the most illustrious son of Salzburg, Wolfgang Amadeus Mozart. In Filzmoos, cars are not necessary: to reach facilities and slopes you can walk on foot or use the free ski bus, and it can often happen to have lunch with ski or snowboard trainers, as a mark of the particular joviality of the people. Who wants to ski every day in a different place can ask to be accompanied in the neighboring districts, part of the Salzburger Sportwelt, and try the slopes of Flachau and Flachauwinkl. Filzmoos is also known for a wide range of activities to complement the winter holiday, such as biathlon, cross-country skiing, sleigh rides, walks, toboggan, and curling (very popular in Austria). In the late afternoon, then, the wellness center of the resort, Erlebnispark, awaits the weary sportsmen for a relaxing massage, a sauna or a swim. As in most Austrian ski resorts, particular attention is devoted to the amusement of children: many tours are organized in Filzmoos to discover the wildlife in the snow. 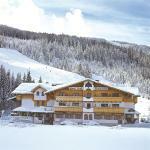 Krahlehenhof Hotel is located in the village of Filzmoos, in the region of Amadè Ski, about two kilometers from the centre and four hundred meters from the nearest ski slope. The ski bus stop is only fifty mt away. 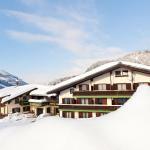 The cozy Alpenhotel Wurzer welcomes you in a quiet and sunny location in the centre of Filzmoos, very close to the ski slopes, the cable cars and ski lifts. 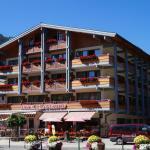 The Hotel Alpenblick is located right next to the Papageno cable car, just a hundred meters from the centre of the beautiful Alpine resort of Filzmoos. Scenic hiking trails begin right nearby. Hotel Unterhof is a family-run hotel, a real holiday paradise on the outskirts of Filzmoos, in the province of Salzburg. Here you will enjoy a cozy, informal and pleasant hospitality.